By Helen Wang, published February 28, 2017, 12:10a.m. FOBO. FODO. FOMO. The internet age seems riddled with fears (and with the unwieldy acronyms we keep coining for them). I can honestly say - smugness alert - that Being Offline only bothers me when my broadband connection starts playing up just as a deadline is whooshing past. I am far less uncomfortable than I should be with Disappointing Others, and perhaps because I don’t have much of an online life, I am reconciled with Missing Out on most things most of the time. But every day, FONRE like a tiny, hungry woodworm eats away at my smugness from the inside. I confess: I live in constant Fear Of Not Reading Enough. Let’s face it: the only way I’ll ever read enough is if the whole world stops producing literature right now and I am reincarnated about 20 times over into the same person stuck by herself inside an underground library stocked with every story ever written. Which sounds impractical, though it might make a good story. 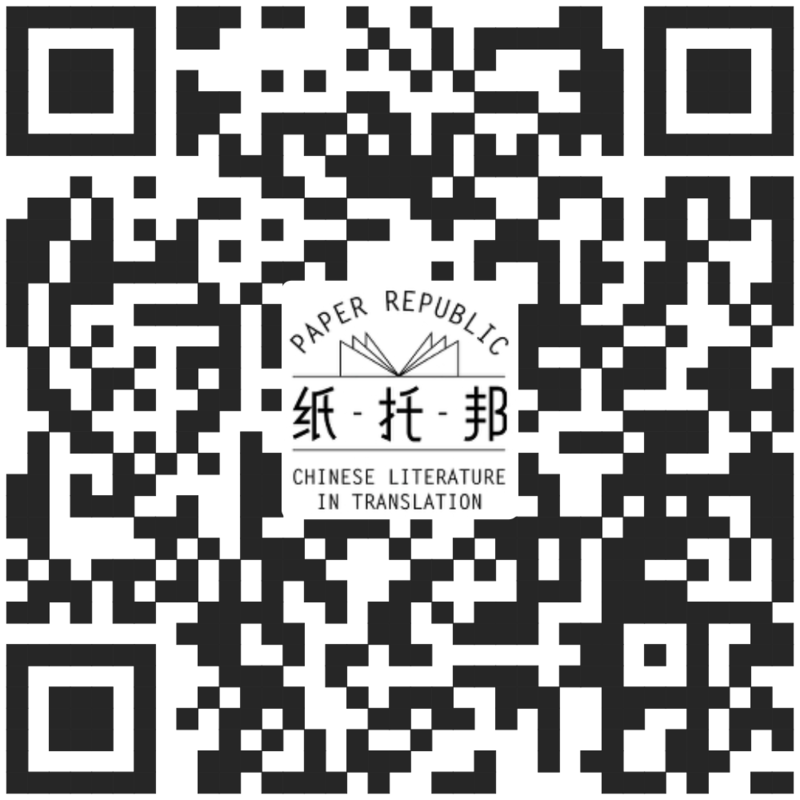 A story which, if already in print, was probably written by a Chinese author, and can be read in English translation at Read Paper Republic. I did read a few short stories that I enjoyed very much and would never have encountered without these translators’ initiative. And then, the Read Paper Republic stories ended up in my ever-increasing mental stash of unread must-reads, throbbing like things only do when they’re really good, and easy to access and short and FREE, and I’m still not reading them because I’m busy fretting about Not Reading Enough. Redemption from this miserable state of affairs was delivered in late 2016 by another post on the ETN, this time about Dragonworld. I was instantly intrigued: seriously, Dragonworld, talk about click-bait! Besides, clicking on links posted by literary translators falls within my WPA (Worthwhile Procrastination Allowance). Once I looked at the webpage I was, more rationally, intrigued by the speed-book-club format of the event, something I had never tried or even heard of before: four stories, four tables, four translators, and a few dozen readers spending twenty minutes at each table. Most intriguing of all were the stories themselves. On the night, each group of readers grasped at the thread running through them: was it the genre-bending angle of the selection, the themes, the disorientating dream-like atmosphere evoked by the authors? What all four stories did have in common was sparkling, uncompromising writing, skillfully and courageously translated. More on courage later. I love discussing something I’ve read with people who have also read it, and I’m hardly alone in that. My life isn’t regular enough to make ongoing book-clubs an option (I don’t think I’m alone in that, either), so a structured one-off event is the perfect format for me, and short fiction the perfect material for this format. Of course I still didn’t manage to read enough: by the time the first bell sounded I had only got through two and a half of the stories, but this being a fully inclusive event, chronic procrastinators and FONRE sufferers were catered for with handy cheat sheets on each table. I found that I was able to participate whether or not I had read the story being discussed, and most importantly the discussions didn’t take away from my enjoyment of the unread stories, when I, er, finally got around to reading them. If anything, I think I enjoyed them more for it. As noted by Nicky Harman in the recap of the event, the story she translated doesn’t rely on an explosive ‘reveal’ at the end as many of us have come to expect from western crime narratives. I think that could be said of all four stories: I remember each one as a spatial experience rather than a linear trajectory from beginning to end. Curiously, this mirrors the way I experienced the event: we readers migrated from one narrative landscape to the next as we migrated across the room in no particular order, moved each time by the chime of a bell. As I search for the language to describe this event, it occurs to me that I always experience fiction as a kind of inner migration, well, when it’s good I do and perhaps that is how I know that something I’ve read is good: when I didn’t simply travel, but inhabited each place, each character; questioning, feeling my way around, sometimes returning to find a place, a person, a storyline changed, and wondering whether it’s me seeing it differently because I have changed. And that sounds so much more fun than being stuck in a library for twenty-odd lifetimes. All these stories were translations, all from the same language. While the speed-book-club format would work as well with English-language originals, the event was undoubtedly enriched by having translated literature at its core. Translated fiction adds a layer of migration to the reading experience: it takes us further before taking us back, even if that ‘further’ is a Chinese author’s fantasy vision of our own continent. And the thing about translation, the really cool thing about literary translation in particular, is that it’s carried out, word by word, comma by comma, draft after draft after draft, by literary translators. And that night we had four of them in the room, to answer our questions and to ask us questions, not to direct the way we moved through each story and from story to story, but to share some of the vehicles they had discovered and used during their own migrations across that text. I doubt anyone can know a creative text more intimately than the people who have translated it into other languages, perhaps - and I say this as a writer - perhaps not even the author. The first time I attempted to translate a literary text - a novel I’d already read once without that intention - I was shocked by the way the text opened up and sucked me in, by all the previously unintuited elements it threw at me as it took away my compass and left me to find my way around that story I thought I knew. I’d been reading voraciously for thirty-five years, and that had never happened to me before. Which is where, having started with fears, I want to end … on courage: the courage to make up a character name that will recall the ‘fantasy Europe’ hinted at by the original; the courage to tackle a story whose title is so obscure to you, it takes you a considerable amount of research to find out it’s the Chinese translation of a line from an English-language poem (one you weren’t familiar with - meaning, that you still have to find it in the original); the courage to translate an element that comes across as quirky and dreamlike in Chinese but is a tired trope in English; the courage to feel your way around a text until you know it has migrated with you and you can let it loose in the English-speaking world. Those are examples of the insights we had access to on the night, and there was more, since all four authors are living and the translators had been in touch with them during the translation process. One translator, Emily Jones, was standing in for Jeremy Tiang who is not based in the UK, but the two of them had prepared so thoroughly for the event that his absence didn’t at all detract from the discussion of the story he’d translated. The event took about two hours, plus the advance reading time. While a great deal of planning must have gone into it, it seems fairly easy to replicate, and I hope that happens. Again and again. All over the country. At bookfairs, at festivals, in libraries. Using short stories translated from every language we can think of. Giving translators and readers a platform for one of the activities that make life worth living: exploring a piece of fiction together. Reading enough isn’t just impossible, it’s also not important. What matters is reading, taking reading to its full capacity, and this event made me do that for the first time in a good while. And now I’m losing my greatest fear. I may have to try FOBO instead. susan, February 28, 2017, 7:58a.m. Also, I'd like to seek any translator interested in short stories by 伊北。I may be able to acquire two translation rights to his two short story collections. Let me know if anyone is interested in picking up the work ( on credit for the time being, until we procure funding through all channels available to us). Anyone that is interested in working as translator/proof reader or as editor! I can be reached at badvogato@gmail.com ... thank you in advance. susan, February 28, 2017, 8:03a.m. Lao Zhang, February 28, 2017, 10:39p.m. susan, March 1, 2017, 11:44a.m.